Hawaii Structural Engineering Firm | Nagamine Okawa Engineers Inc.
Providing Structural Engineering Services in Hawaii since 1992. 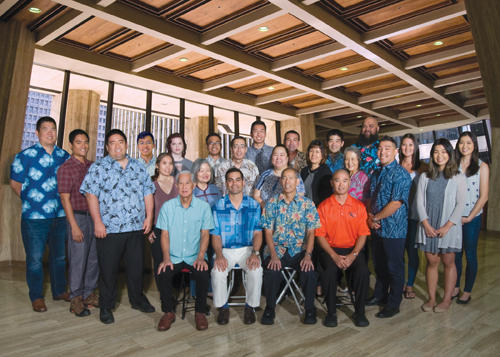 Nagamine Okawa Engineers is one of the largest pure structural engineering firms in the State of Hawaii, providing structural services for over 2,000 projects in state of Hawaii and throughout the Pacific Rim. We are always looking for structural engineers who are Akamai, motivated and hardworking. Participate in the exciting transformation of calculations to construction documents to actual structures. See our careers page for more information. We are committed to providing outstanding service to our clients. We are grateful to have contributed to the successful completion of many projects all over the islands and are proud to share our accomplishments. Our firm provides design, investigation, construction administration and various other consulting services for hotel and resort projects, highway projects, infrastructure projects, healthcare facilities, commercial structures, and waterfront structures.